HiDew Dehumidifiers – Alternative Heating and Cooling Ltd.
AHAC have been supplying HiDew dehumidifiers since 2013. HiDew dehumidifiers can be used for radiant heating and cooling systems, swimming pools, industrial processes and controlled mechanical ventilation for comfort applications. Projects completed to date include swimming pools, food dehydration and food processing environmental control. 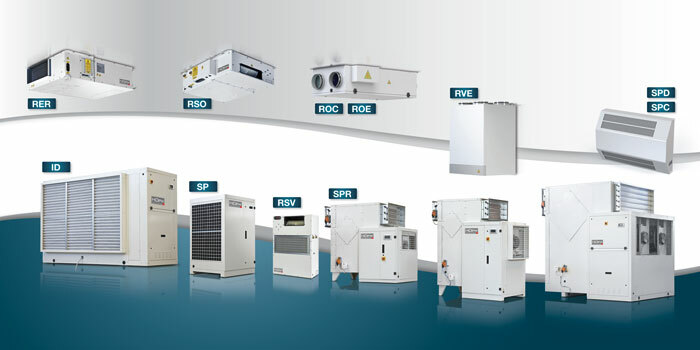 HiDew products are designed mainly focusing on problem solving of plant engineering, on energy efficiency and on human comfort conditions by always considering an outstanding price and performance relation. Alternative Heating and Cooling Ltd., Unit 3 IDA Industrial Estate, Baltimore Road, Skibbereen, Co. Cork, Ireland.